10º) Yoga for Movement Disorders – Renée Le Verrier. 14º) What To Do When The Storm Comes: Finding Strength Through Adversity – Natalie Chubbs. Good morning, M. Pessoa. Hi Divanicio! I Shared! 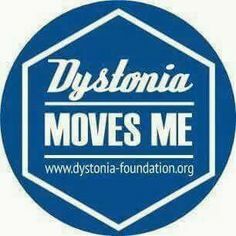 Good work you have produced looking for all the books about dystonia, all around the world. Thank for our book “Dystonies : nos corps en désaccord “. All the books, you have listed, are they actually all in sold? May I suggest you some others french books about dystonia written by people with this illness? Patricia, In fact, most of these books I’ve listed, I’ve read them. And the few I did not read, I plan to buy and read them, okay. You can buy them on amazon.com. Yes, I am grateful if you have suggestions from other books on dystonia!